PHASE 1 - EPISODE 2. In this episode Harry Flower heads up to Minchinhampton Golf Club for his first lesson in 5 years with Ex European Tour Player and Top Golf Coach Stewart Little. Working on movement and positioning through impact. After this we head to the driving range to try and ingrain all of these feelings. Great Episode and a must watch. PHASE 1 – EPISODE 2. In this episode Harry Flower heads up to Minchinhampton Golf Club for his first lesson in 5 years with Ex European Tour Player and Top Golf Coach Stewart Little. Working on movement and positioning through impact. After this we head to the driving range to try and ingrain all of these feelings. Great Episode and a must watch. Harry, welcome to the world of deliberate practice and stepping up to the REAL challenge of becoming a pro – 1000s of hours of practice! Yes it will need 1000s of hours I’m afraid. But, don’t worry – Talent is a myth – read the book Bounce for real inspiration – or any other book about deliberate practice and what it takes to become world class. You CAN do it. The 'feel' issue (and not being able to describe/vocalise what you're doing) is called Expert Induced Amnesia (read the book). It's a result of years swinging and hitting the golf ball and achieving results without thinking about it as an explicit movement. Your swing is intrinsic – you just do it. (as a result of hitting 1000s of shots over your teenage years). Now, here's the problem – breaking that pattern requires you to add extrinsic thoughts into your swing, and these take hours and hours (probably 1000s) to mould into ‘intrinsic’ movements – you also have to make sure the new moves are not altering other parts of the swing – which they do, hence you need to do more practice! Remember ‘feel is not real’ especially when progressing toward new anatomical moves to achieve better impact. All of the parts of the jigsaw need to match up, and that may NOT come quickly – hip/pelvis changes in the swing ultimately lead to many hosel rockets, but persevere and work harder! Your coach seems to have a great plan – lower body work is the key to a great long game, and the transition and leg/pelvis work comes first in all great swings – GG swing tips – George Gankas is another coach who really has this concept nailed (and I’m working hard on this stuff! But, the practice required to break your current (pelvis firing open first – without a dip/squat) transition is going to be a HUGE challenge. I wish you all the best and your young age should make changes easier for your brain to implement into action. One bit of advice I can give is – do loads of mirror practice without a club – 10 mins here, 10 mins there every day, plus your range work – it’s the only way to cement those new transition moves into place and never ignore flexibility – the tour pros are like gymnasts! Good luck Harry – BTW, I’m no pro (and don’t profess to be one) but 5 years of commitment to get produce ‘tour grade’ golf mechanics has taught me a great deal about the graft required to become truly great – I think I’m about 4000hrs into the 10000hrs process! Lots of work (and shanks) ahead of me, and you – all the best! Have you ever had lessons with Crossfield? are you going George Gankas style now and rotate through the ball like crazy? Always found him very knowledgeable and has a lovely manner when teaching. Very patient and it inspires confidence when you see your coach hitting balls like he does. Watching this video put back some great memories of my lessons with him . Reminds me off a Sean Foley swing. What’s the reasoning behind the alignment stick on the angle…? Bubba Watson does not flip he is a drive holder through impact with a stable square club face. Is the trip to Spain with James?! 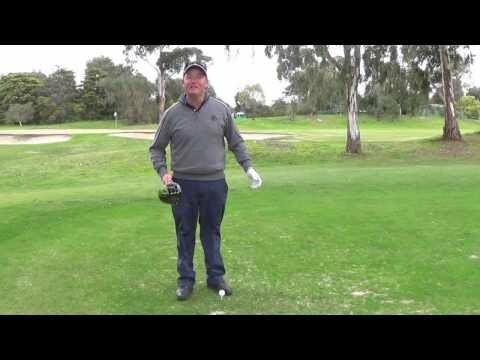 My coach teaches the same swing with the theory being swinging that way less can go wrong! The Tommy Fleetwood swing! Definitely one of the best things he could have had you working on. All that old snappy leg, standing up/gaining height, flippy hands stuff was causing all those thin shots, inconsistent shape, and distance control issues, not to mention difficulty playing any kind of consistent cut shot which you'll probably be able to do again now. Stick with it! Good video and good golfing lesson. I particularly liked what Stewart said about what the right side of our body should be doing in the swing. I'm hoping that this will be great advertising for Stuart and that it will bring him more students and more money. Promoting him in this way certainly can't hurt and it's good for us because we get free lessons too! Great Content Bruh keep up the good work. really awesome video. great editing. good luck to you in the future! You need to check out a video by be better golf – he uses a VR headset with a slot cut open in the bottom so he can see the ball on the ground as well as the image in the headset – the image is connected to a down the line camera view which his coach is drawing lines over. So he can swing to a position, feel what it’s like and see live what he is doing. Pretty legit – not sure if anyone in the south east has one tho. Keep up the brilliant vids DAD! Best change you could've made. You were always very flippy at impact. This change should help you tremendously. Aw mate does this mean I can have your Galvins?? ?